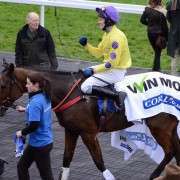 Newspapers, radio, newsreels and television have reported on every detail of The National since its official inception in l839, but with the ease of obtaining information in the on-line media age more and more people are turning to the internet to satisfy their curiosity about this famous race. 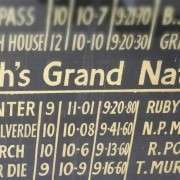 Whatever the changing spirit of the internet age may be in other areas, The Grand National sits firmly in the frame as a constant just as it always has throughout its long and exciting history. 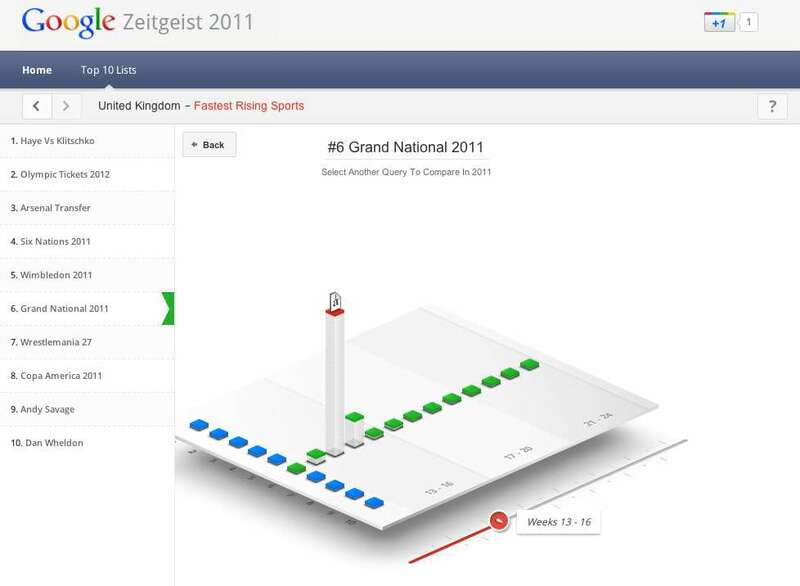 The words ‘Grand National’ is in the top ten placings in Google’s Zeitgeist survey for 2011 and one of the biggest search terms in the sports category. No shadow boxing for the National though. The search term ‘Grand National’ came in sixth in Google's 2011 Zeitgeist survey behind other great UK led sporting events such as ‘Wimbledon 2011’, ‘Six Nations 2011’, and ‘Olympic Tickets 2012’. Its number six placing also puts it in some good company and on a par with: How to sleep – number six in the top 10 searches for ‘How to’ in 2011. What are cookies – number six in the top 10 searches for ‘What is’ in 2011. Chicken – number six in the top 10 food and drink searches in 2011. iPhone 5 – number six in the top 10 searches on news.google.co.uk in 2011. Barbados – number six in the top 10 Travel Destinations in 2011. Britney Spears – number six in the top 10 searches for celebrities in 2011, and even Google itself gets a number six placing – number six in the top UK searches in 2011. 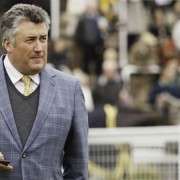 Of course the well documented tragedy during the 2011 Grand National where millions of TV viewers saw Ornais fall at the fourth fence, breaking his neck, and Dooneys Gate breaking his back only minutes later at Becher’s Brook, must have had something to do with this. Interest was mounting in The National in March but there was a massive spike in April. 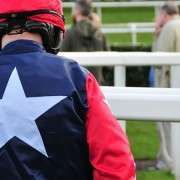 Even so, a rise in interest in The National in April would be expected and this, and the consistent interest spread throughout the year, indicates that there is a genuine thirst for information on all aspects of the race and the race’s history, not just its tragedies. A sixth placing isn’t at all bad for a single sporting event that is over and done with in less than ten minutes – particularly when compared to the days and hours of sport of most of the other ranked tournaments. 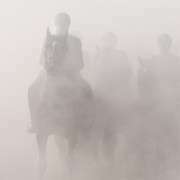 Yes, The Grand National captures our interest as one of the nation’s most watched sporting spectacles and minute for minute it continues to grab our attention and imagination like no other sporting phenomenon.